Anyone can submit the 7-7 lines! For the sake of all renga participants, please include your lines as comments to the collaborative haiku post so that others can see what has been submitted. I will “close” the renga to submissions on the date indicated with the collaborative haiku post. I will have an independent judge pick their favorite from the submissions. The final renga will be published on this blog, and the submitter will be given co-credit with me in the by-line. The submission deadline is early this time: 5 pm EDT, Fri, August 31, 2012. 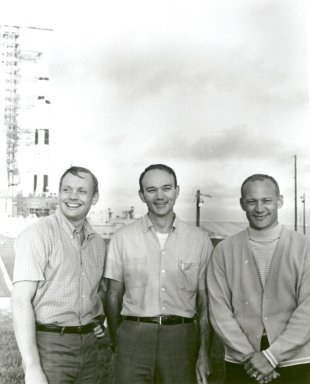 My hope is to post the final haiku on NASA’s “Share Your Thoughts on Neil Armstrong” page at http://www.nasa.gov/topics/people/features/armstrong_comments.html before the public comment period ends. Next 7 syllable line here. To submit stanzas, please provide your lines using the “leave a comment” option with this post. Please indicate which stanza you are submitting (e.g., lines 4,5 or lines 6,7,8) to limit confusion. You will be submitting stanzas (either the next 5-7-5 or next 7-7) not single lines. Soon as I see the next stanza has been submitted, I’ll post it. Keep an eye on the comments to see if a stanza is already spoken for. Some commonsense guidelines: 1) Profanity has its place though probably not in a brief haiku where syllables are precious. Any profanity will be scrutinized. 2) Please stay with the general subject matter (our solar system); that said, don’t be afraid to introduce a surprising new twist to the poem. All contributors will be acknowledged with initials in parentheses after their lines and with credit in the by-line of the final poem. I thought a poem about wandering the solar system suited this type of meandering, surprising poetry best. Looking forward to traveling around the planets, moons, asteroids, dwarf planets, planetoids, and trans-Neptunian objects with you all. Here is the 5-7-5 to start us off. Line 15 (7 syllables): with each volcanic facelift. Congrats, Markus ★ Hammonds! Your 7-7 lines were picked by the judges from the many wonderful submissions. So here it is: the final haiku! She hides her face from the light. Anyone can submit the 7-7 lines! For the sake of all renga participants, please include your lines as comments to this post so that others can see what has been submitted. I will “close” the renga to submissions on Wed., May 23 at 5 pm EDT. I will have two independent judges pick their favorite from the submissions. The final renga will be published on this blog before the Transit of Venus on June 5, 2012 and the submitter given co-credit with me in the by-line. Congratulations, J.A. Grier! Your 7-7 lines were selected as the winning entry in the “Star Stuff” collaborative haiku contest. Here it is: the final poem! nova iron, fire our blood. A very big thank you to our 2 judges–Francis Reddy and Tony Berendsen–for their time and efforts! Francis Reddy is a science writer on contract to the Astrophysics Science Division at NASA’s Goddard Space Flight Center in Greenbelt, Md. He is also the author of Celestial Delights: The Best Astronomical Events through 2020, which was published in 2012 by Springer. Tony Berendsen is a Star Guide, Poet, and owner of Tahoe Star Tours. He uses Astro-Poetry to help people understand the starry skies, and our place in the Cosmos. Renga is a form of collaborative haiku with a 5-7-5-7-7 syllable structure. A single writer initiates the poem with the first 5-7-5 stanza and welcomes other writers to provide the 7-7 stanza. For fun, I wanted to initiate an astro-renga in honor of Global Astronomy Month 2012 (GAM2012) and National Poetry Writing Month (NaPoWriMo) and invite anyone who wants to participate to do so. Anyone can submit the 7-7 lines! For the sake of all renga participants, please include your lines as comments to this post so that others can see what has been submitted. I will “close” the renga to submissions at 5 pm EDT on May 4, 2012. I have two independent judges lined up to pick their favorite from the submissions. The final renga will be published on this blog and the submitter given co-credit with me in the by-line. If there is enough enthusiasm for this renga process, I’m happy to start another renga and potentially alter the format to allow for a multiple stanza renga. Look forward to reading your 7-7 lines!